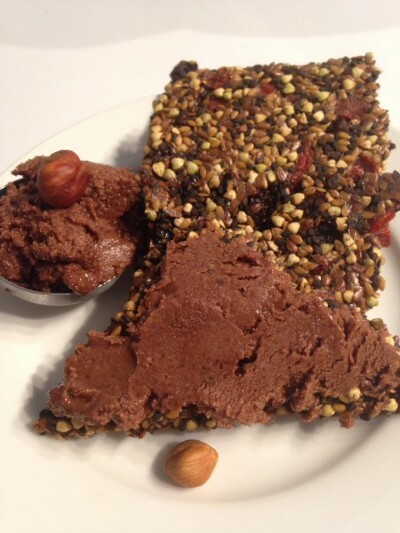 Heavenly Hazelnut/Cacao Butter - Raw Juicy Living - Recipes and Workshops for Parksville, B.C. In a food processor fitted with the "s" blade, grind the hazelnuts down to a fine powder. Add the remaining ingredients until you reach a buttery, spreadable texture. For a bit of a "crunchy" texture, add the cacao nibs in toward the end and leave slightly chunky. If a smoother texture is desired, 1/3 cup of cacao powder may be used in place of the cacao nibs.